Drone holiday delivery. Drone holiday gifts delivery as a christmas sled concept transporting presents with a santa clause flying quadrocopter delivering cargo as a symbol of new transport technology. 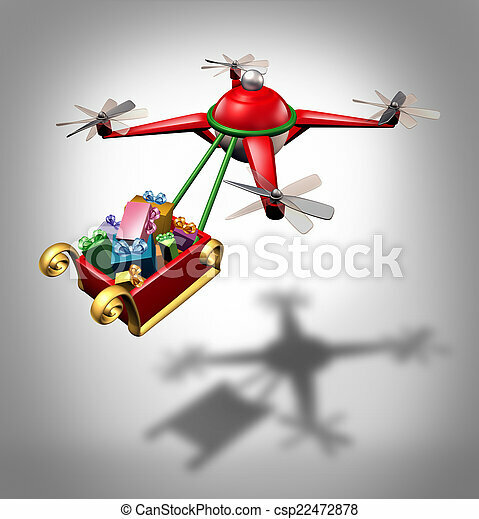 Drone holiday gifts delivery as a christmas sled concept transporting presents with a santa clause flying quadrocopter delivering cargo as a symbol of new transport technology.